Once you have entered the relevant data in the backend, you will be able to test the plugin and modify its cache settings. The plugin has a shortcode that lets you add reviews for a specific product on your pages. 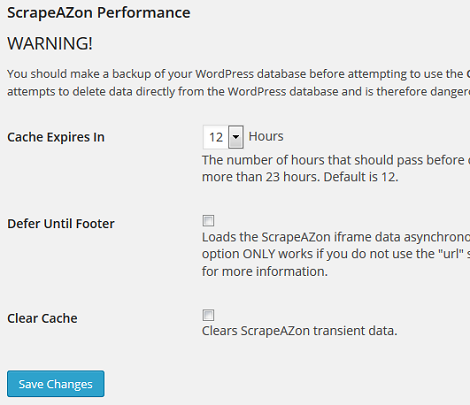 If you are too worried about the performance of this plugin, you can load the ScrapeAZon iframe data asynchronously. ScrapeAZon is not for every site. But if you make money as an Amazon affiliate or would like to display reviews of your own product on your own site, this plugin might help.